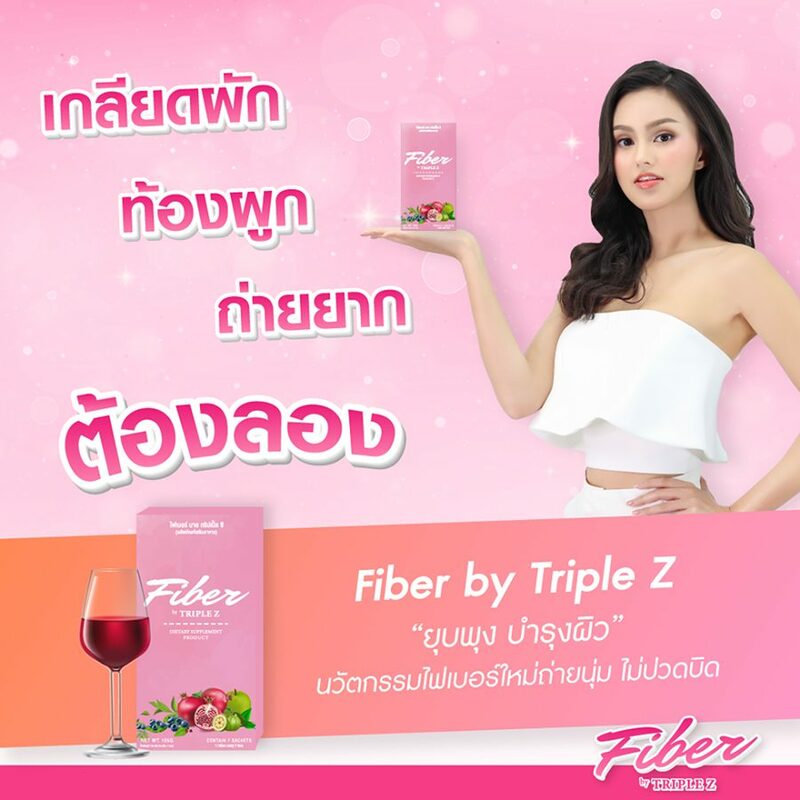 Triple Z Fiber is the dietary supplement product that helps detox the intestines, stimulates excretion, increases fiber to the excretory system, promotes weight control, and takes care of the body shape with new innovation of the fiber that is aromatic and easy to drink. 1 sachet is equivalent to 500 grams of fruits and vegetables. 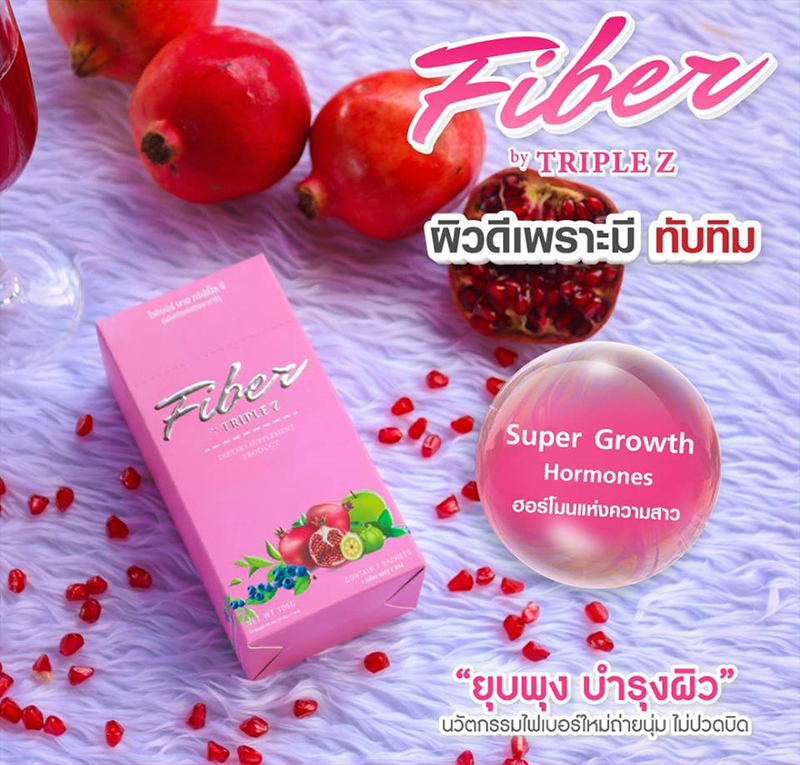 It is packed with 7 natural extracts with the most concentrated fiber. 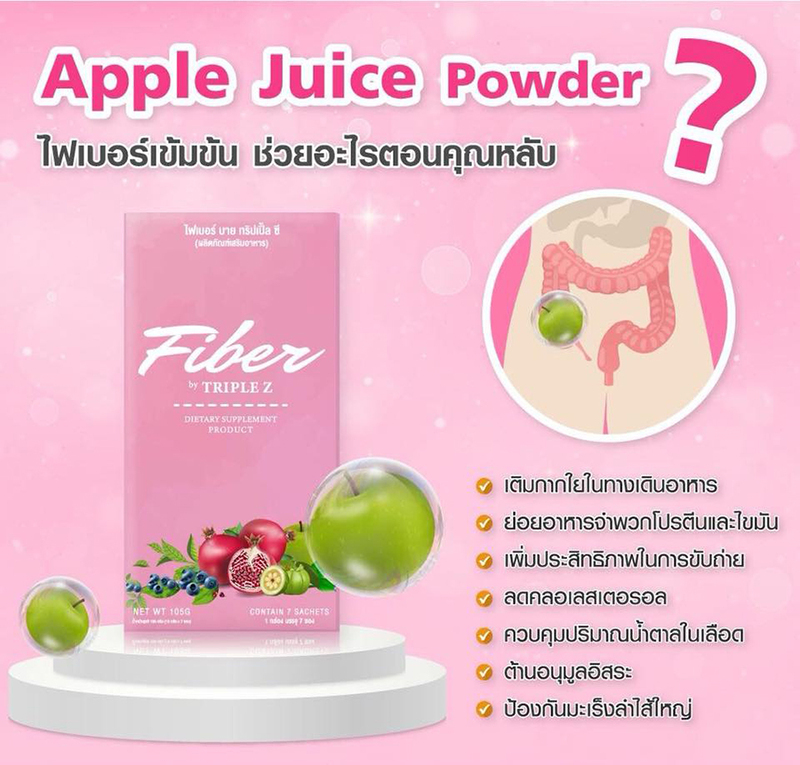 Apple Juice Powder: is the concentrated fiber that helps digest protein and fats. 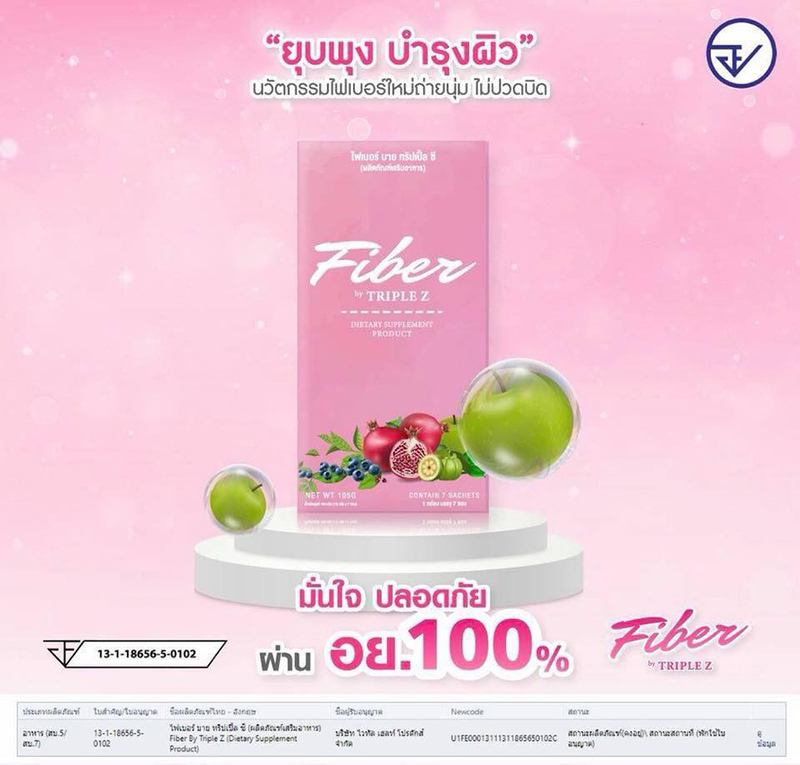 Psyllium Husk Powder: cleanses dirt in the intestines and reduces constipation. 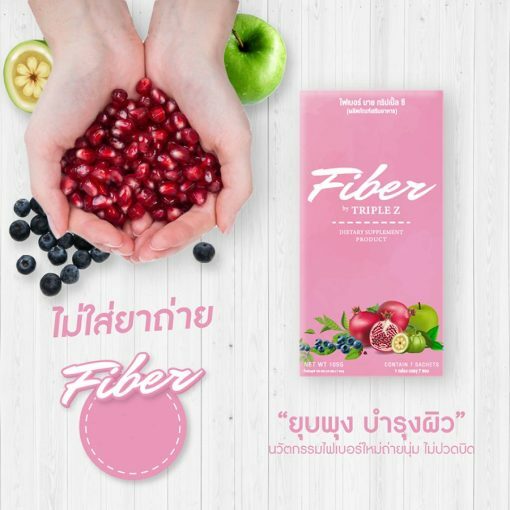 Bilberry Extract: inhibits the growth of bacteria in the intestines. 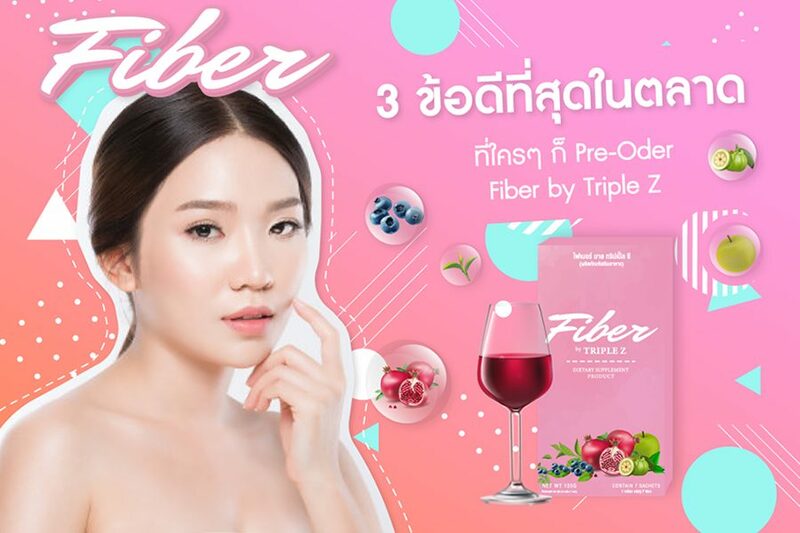 Cactus Extract: provides concentrated fiber to trap fats and toxins. Garcinia Extract: inhibits the conversion of starch and sugar into fats. Green Tea Extract: fights against free radicals, the cause of bowel cancer. Wheatgrass Powder: removes toxins from the body. 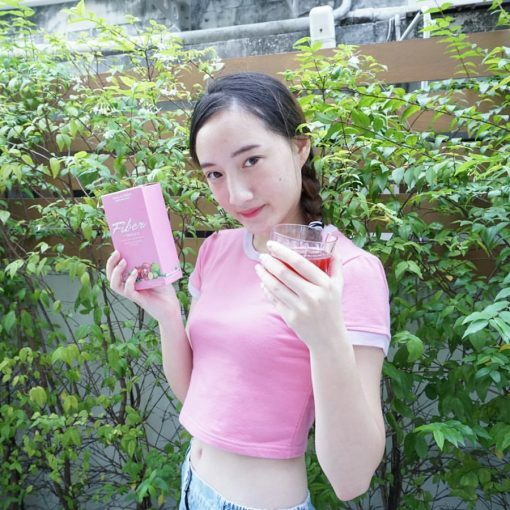 Pomegranate Extract: brightens and smoothens skin. Dissolve 1 sachet with a half glass of room temperature or cold water and drink before bed. 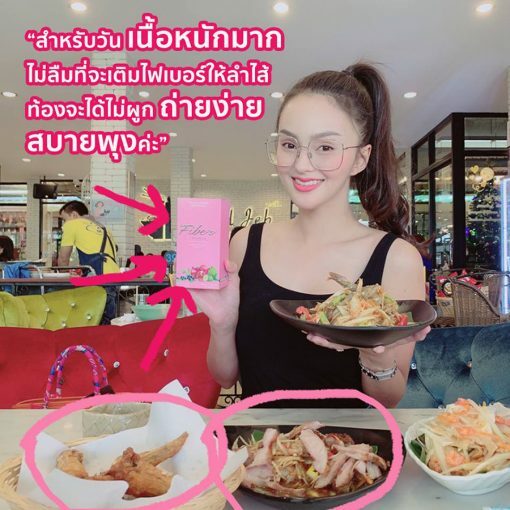 Precautions: It’s not recommended for children and pregnant women.